No one is more surprised about the success of these flatbreads than I am. In the days when I was still able to eat wheat I would buy wholemeal flour from my local Indian grocery store to make chapatis to serve with a curry meal. They were always light and flaky, more a testament to the flour and the recipe than the cook. Sadly chapatis went the way of all the other wheat flour goodies I once enjoyed. A few times I’ve given some thought to trying out flat breads and pastry with a spelt flour, but I just haven’t got around to it, then recently I overheard a conversation on the tram between two young Mums talking about quinoa. One was telling her friend about the quinoa pizza bases she made for her kids. I’m not likely to try a pizza base made with quinoa any time soon, but it did make me look into the qualities of quinoa flour which then led to these flatbreads. I’ve made them twice now, just to check that the first batch wasn’t a fluke, and I am impressed. They are flexible and moist, they have the delicious flavour of quinoa and they make perfect wraps or curry mops. They are best eaten warm though they will stay moist for 24 hours if kept in a sealed container. Whisk the oil and water into the yoghurt then stir the yoghurt mixture into the flour. Mix to form a pliable dough. Add a touch more water if necessary. Wrap the dough in plastic film and allow it to rest for 30 minutes. Divide the dough into 6-8 even sized pieces then roll into balls. Generously flour the bench, rolling pin and dough and roll each ball of dough into a thin disc. Heat a cast iron pan until quite hot. Cook each flatbread until brown and blistered, about 30 seconds each side. Brush the bread with a smear of olive oil then keep wrapped in a tea towel to prevent the bread drying out. Serve the flatbread immediately as tortillas, wraps or chapatis. These turned out really well, thanks so much for the recipe. I’ve posted the recipe on my site (https://pepsfreefromkitchen.wordpress.com/) and linked back to you, I hope that’s okay. I love this. Thanks for the idea — I’m about to go grocery shopping and quinoa flour is definitely on my list to try this. I hope you enjoy the quinoa flatbreads Aneela.. These look fab, will certainly try them for the Yak. I don’t like quinoa flour for sweet baking but with a curry, I imagine it would be a great mix. Nice work Mrs Lady! Hey Cheery. I haven’t tried quinoa flour for sweet baking but I imagine it’s strong flavour would be unpleasant in that situation, but with a curry, it works very well. I was really pleased to have a bread with my curry instead of rice. Hope Mr Yak approves…. These sound interesting, but flatbreads made with spelt – as a kind of chapati – are delicious, too. I haven’t had much experience with quinoa seeds, but what I have tried didn’t impress me. Perhaps the flour would be better. I intend to try spelt flour chapatis but in a fit of enthusiasm I went with the quinoa first. We liked them, they do taste distinctly of the grain, but with curry that was OK. I’m not so sure i’d feel as enthusiastic about them with less assertive flavours. Thanks Dimple, they were a revealation!! Very interesting! I am intrigued by quinoa flour and these flatbreads. I am trying to learn how to bake/cook with flours like buckwheat and quinoa so I appreciate the recipe! That’s impressive! 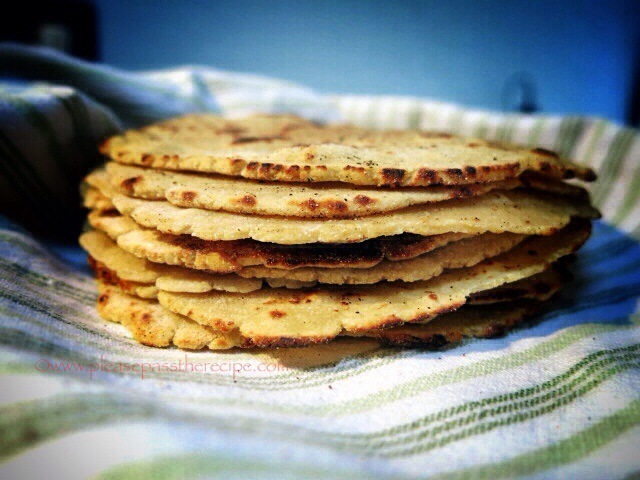 I always keep quinoa flour at home, but I’ve never thought to make flat bread with it. Looking at the ingredients they have to have an incredible flavour! thanks for sharing! Wow, these look really good!! I find so often that wheat is such a vital part of bread’s structure, so well done on creating a wheat-free alternative!! Thanks Gab, they were a surprising success. Living without wheat certainly challenges me as a cook and I find most GF stuff is very disappointing….. I agree!! I love experimenting with GF cooking because it tends to be more satisfying than the options available at supermarkets!! These look really good, just like the real thing. Quinoa flour might be more appealing to me than the stuff itself, which I don’t find appealing. Francesca, the flour has that distinct quinoa flavour, there’s no getting away from that…. A must try. I recently made cornbread with spelt flour and whole grain cornmeal that were surprisingly fluffy (will post soon). Do you know if quinoa flour has similar health qualities? They look wonderfully moist. We love quinoa and I think these would be perfect to serve for taco’s. And I imagine a pizza crust using quinoa flour would be delicious too Sandra. Immediately forwarded this recipe to my coeliac brother-in-law and nieces. They will be thrilled. I’m actually keen to try them myself too. They look like ‘proper’ flatbreads, and they would be bursting with nutrients too! Have never seen quinoa flour – didn’t actually know it existed – but I do love a good hunt. Not me, that’s for sure, a big surprise! Sounds nice! The flatbreads seems nice and pliable, and I like the taste of quinoa, so I’m sure I’d love these. I’ve tried making gluten free breads and flatbreads before, but never succeeded, my attempt at buckwheat flatbreads was a total disaster. I’ll try using your version next time and see what happens! Sounds great….I’m off on a search to find some quinoa flour! I hope you’re successful Sue, enjoy…. 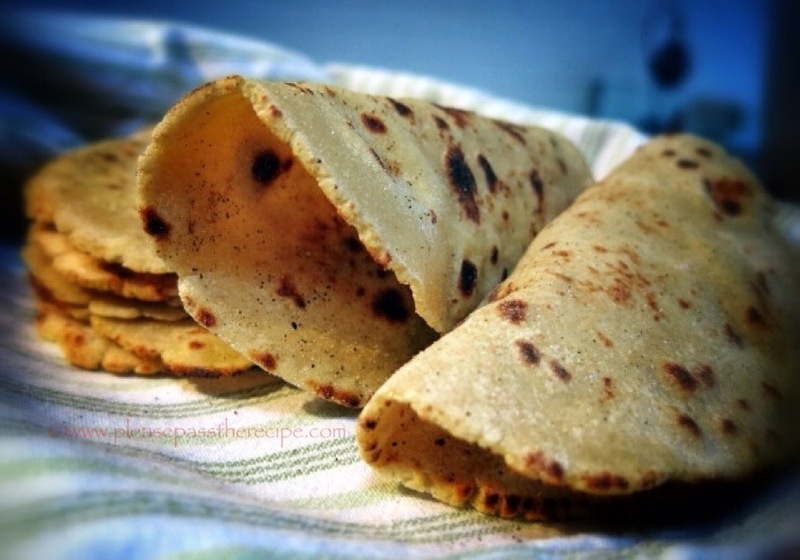 This entry was posted on August 7, 2014 by ladyredspecs in Baking, FODMAP diet, Food, Gluten Free, Gluten free baking, Indian Food, Savoury Baking, Side Dishes & Salads, Vegetarian and tagged chapatis, flatbreads, quinoia flour, yoghurt.